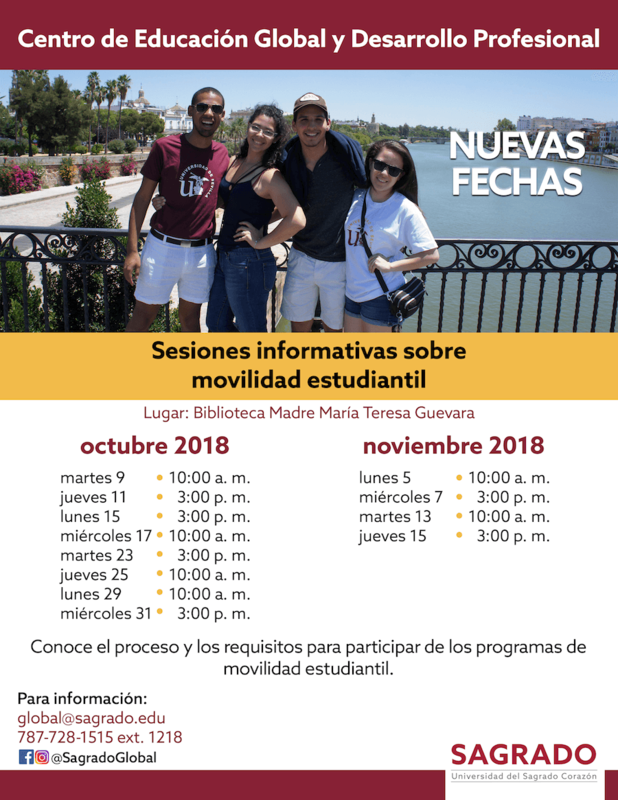 Student Mobility Programs provide the opportunity to study abroad through different types of programs that vary in duration and content..
Student Mobility allows students to integrate studies from higher education institutions abroad to their academic career at Sagrado. What are the benefits of Student Mobility Programs? In a globalized society, international experiences have become a prerequisite for the competitive labor market. The Sagrado Student Mobility Program is designed to add value to the student’s academic, linguistic, professional, and personal development. Who can participate in the Student Mobility Programs? Students from Sagrado that meet the approved averages, credits required by the programmatic offering, and that complete the application process within the published deadline. How is the appropriate Student Mobility Program chosen? The Center of Professional and International Experiences team guides students through the various programs, taking into account the interests and needs of each student through international diagnoses, individual consultations and semi-annual orientation activities. The Semester Programs are based on interinstitutional agreements between Sagrado and another foreign academic institution. Choose one of the following three (3) topics and write an academic essay. The essay must indicate references and should be written in Spanish or English. Students interested in Student Mobility to universities in the United States, Canada, Guam and the Virgin Islands can choose from 170 higher education institutions in the National Student Exchange Consortium. The program includes study opportunities, internships and global education experiences. For more information, visit the NSE page and contact the NSE coordinator in Sagrado. Why study in Puerto Rico? Puerto Rico is an excellent destination to pursue or supplement your academic career. Under graduate Student Portal with free resources to help you prepare for a professional career after Sagrado.